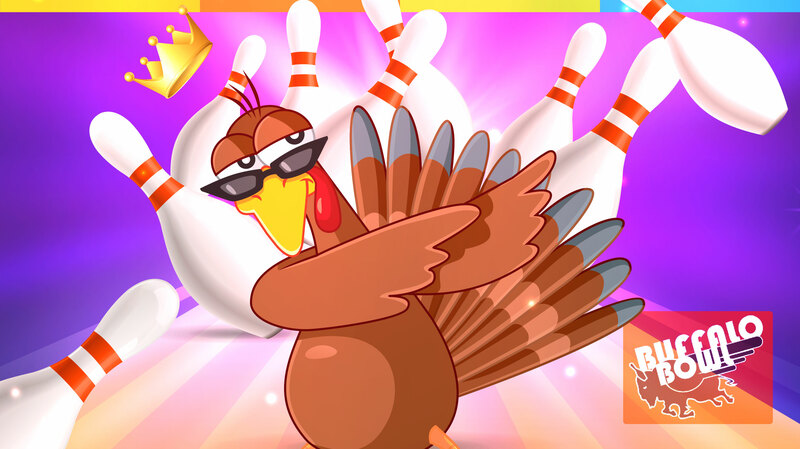 In honor of the Military Family Month, Buffalo Bowl is excited to host a Family Turkey Bowling Tournament on Wednesday, November 14th from 6-8 p.m.
Jump into the holiday spirit and team up with your family for a chance to win a Thanksgiving Dinner Basket with everything you'll need for the big day! Open to Fort Greely Authorized Users and FMWR Pass Holders. To obtain a pass, or for more information, please call (907)873-4782. $18 - Family of 4. Shoe Rental not included.